This fable reminds me of Parker Road and Hwy.98 and how the traffic seems to get more congested at that intersection every day. To enter the Publix off Parker Road is only 8 car lengths, to exit is also 8 vehicles. As soon as those 8 vehicles stack up for the light on 98, they block the gas station entrance, and usually only those cars make the light. 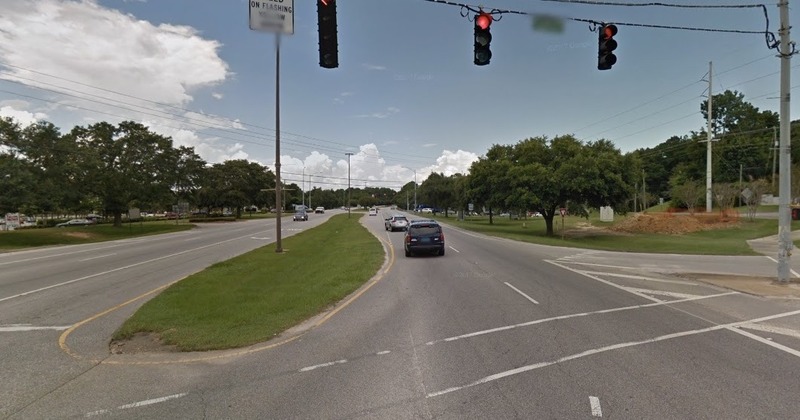 Just like the frog, people have been trying to bring to the attention of the highway department and the City of Fairhope, that the future congestion is only going to get worse. No one sees the water boiling yet. Consider that the apartments and townhouses approved on Fly Creek, around 300 units, have only two ways into the development, off 98 and Parker Road. The Parker Road light will have 700 to 1000 more vehicles, per day when the apartments are complete. The majority coming and going to the apartments, getting into Publix will not be easy. To compound the situation even more is the Fire station at the head of Highridge Road off Parker. How will the Fire truck get through a blocked intersection? To make it even more complicated Parker Road on the Publix side is only about 1000 feet long, half in the county and half in Fairhope, neither one has done any maintenance on Parker for years. Anyone addresses the issue. Remember this at election time. News and information for Fairhope and Baldwin County, Alabama. They started rigging the elections again. Watch them. They have never rigged a single election in Fairhope. Politicians like catalyst whores elliott and burrell are all for. Something has to give. Property values are declining. Amazed that the reitirees put up up with all the corruption. Bad look for Fairhope. Seventy five percent voted 4 Roy Moore. Fairhope is on the brink. When’s the next council election? Ready to march for a clean sweep of the council. Good luck……they are somehow linked in to enough voters (clueless voters) that worship them. Fairhope’s biggest problem is the willingness of the voters to bury their heads in the sand and listen to our coin-operated Council tell them to drink the Kool-aid. Their base is only 3000 to 3600 at most. Voters just need to vote to defeat the Catalyst council. Need some new young faces. Catalyst will not back all five jackasses. Those who think growth for the sake of growth is good don’t understand what’s happening. Schools won’t be able to keep up with the demand for new desks and teachers. We will have overcrowded schools that underperform. All of this is the name of a buck. It is sick. Sick. Jack Burrell and this council are pure evil incarnate. I see the wonderful mayor and planning commission and council in Robertsdale has taken a page out of the Fairhope playbook. You think the Eastern Shore has sewer overflow problems, Robertsdale is worse. They are siding with developers and not the citizens on new housing to put on this already dinosaur over flowing sewer problem. The King here doesn’t care about the people just do as I say and take it. Debt close to 28 million just bring him money so he can spend. Robin Hood please contact the Ripp Report we would like to hear more FACTS. still crap in the bay and they are building more homes and no new roads. Saddened reading this board. Fairhope could have been a nice town. Overdevelopment has ruint it. Never thought I’d see it. So many have sold the place out. Terrible. When corte cuts a road thru woodlands and rock creek ripp will be able to again say i told u so. Ignorant fairhopers not paying attention. You are soooo right about the cut through road to Rock Creek. You think Jack Burrell has a lot of enemies now. Wait until that road is cut. It will take his two little nuts at the same time. Just wait. The people there will deserve what they get. Rock Creek and Woodlands paid around $400,000 if not more for their houses. Now they will lose the values of their homes and it will be their fault. You can easily fit a hundred thou on the eastern shore. We just need to keep the minorities out and our property values will stay high. Ripp we are the number one place to live in Alabama!!!! Wake up to the lies people!! Has everybody forgot the $12 million for the “archery park” slash dyas triangle? Wow the amnesia in Fairhope is worse than opioids. Smdh. I cannot believe you have not been sued. Hey Bring back Tim. What a dumbass you have shown to be. Yeah. Who do you think started, second after no good Nix, thievery in Fairhope. Who Tim Can’t? He ignored infrastructure, sewers and promoted CATALYST. Now we are faced with fixing his mess. You cannot believe Ripp has not been sued? Well wake up and see. It looks as Y O U have been drinking the koolaid, Cataloyst flunky. I heard the Jester buiding his dream home on our dime. In police work, we call this a CLUE. Jester is none other than councilman Robert Brown. The money for this excessive structure on a questionable location came from renovations ti the arts center done by his company, voted on by the Arts Center board of directors. The Jester is a board member. You will always be like Oz. This comment is more than a bit misleading. Robert Brown is a partner in Pitman-Brown, a very respected building contractor. Whatever PB made off of the ESAC remodel surely has nothing to do with Robert Brown’s personal home. He can probably well afford to build anything he wants any place that he wants. I agree that he is very arrogant on the Council, but libel is less attractive than arrogance. Pittman Brown should never have been involved with the Art Center contract,Brown is a Councilman and a Board member of the Art Center a clear conflict of interest and Pittman is his partner and director of Single Tax who had inside information on the contract amounts, there was no BID PROCESS, still a valid complaint that may see the light of day, very soon. You may be correct but perhaps PB won the contract because they did it for a fair price and they do excellent work. I don’t know Cliff Pitman personally but have had business interactions with him and I would trust him 100 percent (which is why I trust Robert Brown). There are a lot of shoddy contractors out there, particularly with commercial work. I think that the City avoided a lot of problems by hiring PB. Too bad the library was built by someone else!